At Blue Sky Builders, we pride ourselves on delivering high quality work and service on every project. Our knowledge of construction and use of quality building materials means that with just a little upkeep, your garage will be fully functional, safe, and efficient for years to come. That said, accidents do happen. The garage is one of the most common sites for household accidents. From slips to burns to crushed fingers, garages can be hot spots for accidents and injuries. It is important that garage owners are aware of the many potential accidents that could occur in their garage, and that preventative measures are taken to ensure safety for everyone. For this week’s blog, we are taking a look at a few common garage accidents and the steps you can take to keep you and your family safe. Slips - The floor underneath where you park your vehicle can easily become slippery, thanks to slippery substances like vehicle grease or ice melt that can drip down from your car. To avoid slips and falls, routinely hose down your garage flooring. Use soap to help remove any tough to clean substances. Remind everyone who uses the garage to avoid running or moving too quickly. Fires - Garages are great for storage. Items like wood, paint, paper, and oils, as well as other flammable materials are all potential fire hazards. To keep your garage at its safest, seek out another, safer storage location for flammable materials. If the garage is the only place you have to store these items, be sure nobody smokes within the garage. Even a tiny spark can lead to a major fire. Bumps, Cuts, and Bruises - Keeping your garage free from excess clutter can help prevent accidents. Imagine tripping over a box of junk and falling face first onto the tip of a shovel. To keep your garage at its safest, keep dangerous tools out of reach, and ensure your garage is easily navigable without a risk of tripping or falling. Poisoning - Poisonous substances like car fluids and pesticides should all be kept on high shelves and out of reach, especially if children are around. If ingested, these solutions can cause major health problems and potential death. Garage door accidents do happen, and it is important to regularly inspect your garage to ensure it is functioning safely. The most common garage door accident is a trapped finger under a closing door or in between a door panel, followed by a trapped body under a closing door. It is important to not only inspect your garage door, but to also teach your children and other family members about the dangers of automatic garage doors. Even garage doors with safety features can still malfunction. 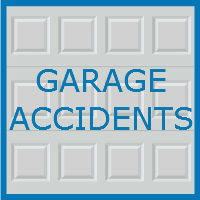 Accidents with garage doors and vehicles are also common. All too often garage owners hit their door with their car, or swipe the side of their garage as they are pulling in and out. To avoid hitting your door, ensure you wait until the door is fully lifted before pulling in. If pulling in at night is causing problems, consider installing some automatic lighting that will help illuminate the space as you pull your car in. For trouble with backing out or hitting the side of your garage, various mirrors are available which can help drivers to see better while operating their vehicle. The specialized team at Blue Sky Builders is here to help when you need us. A safe garage is one that is updated, inspected, and cleaned often. 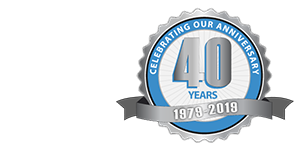 We can answer all of your garage safety questions, and offer a variety of other garage related services to fit your needs. Call 630-852-8485 to get started, or visit Blue Sky Builders online to learn more today.